I’ve played No Man’s Sky for dozens of hours and never found a planet I wanted to call my home. This week, I finally did. I started playing No Man’s Sky at launch, before building bases was an option. At that time, I thought if the game allowed me to make a little home on a planet, it’d be pretty much perfect for me. 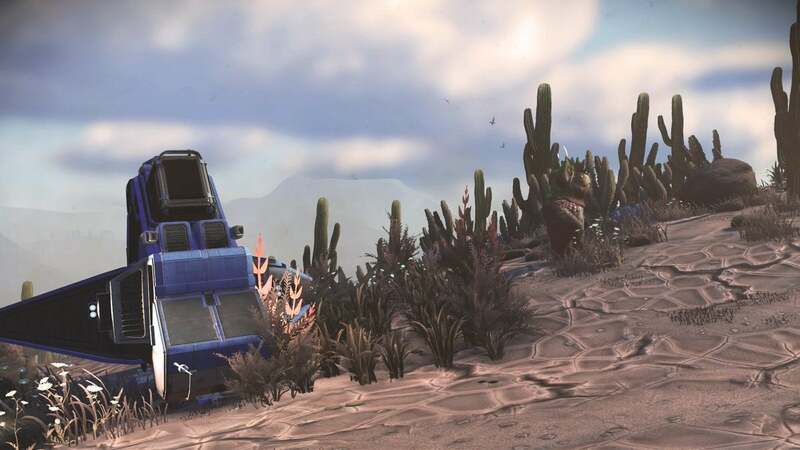 Since that time, No Man’s Sky has not only added base building, but also vehicles and multiplayer, as well as further improvements to graphics and terrain generation. It’s prettier and better than it’s ever been—the perfect place to settle down. Being able to create a virtual home that I can customise just how I like it is one of the gameplay experiences that I value over anything else. I live in a small flat with two housemates, and my tastes in clothing and interior decoration sometimes clash with theirs. I can decorate my own tiny bedroom, but getting the ability to decorate an entire virtual home in The Sims or a base in Dwarf Fortress feels like such a relief. But I haven’t been able to find a place in No Man’s Sky that fits my criteria. It’s been frustrating. I don’t think I’m too picky. I just wanted a planet with grass and trees that isn’t constantly beset by acid rain, or whatever, and has a nice sunset. A lake would be nice too, but I’m not going to cry if there isn’t one. Unfortunately, I’ve had exceptionally bad luck. All the planets I find have been deserts or toxic wastelands. 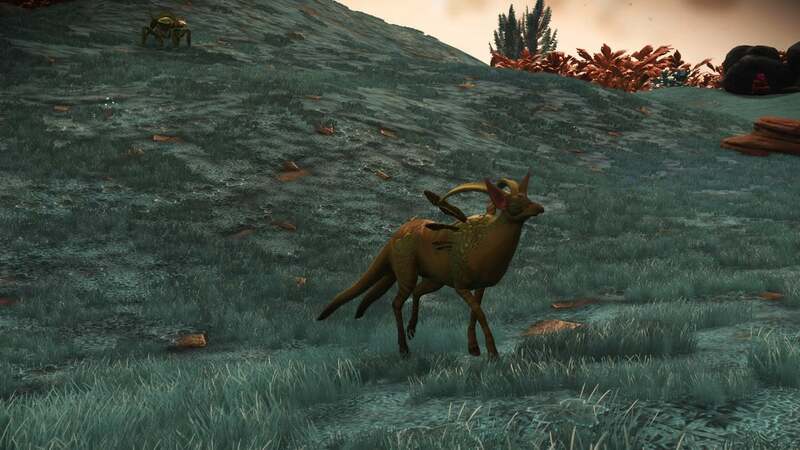 One planet I landed on just before the Next update was not only a completely barren desert, but also had what sounded like hundreds of animals all screeching at once. I could not wait to get out of there. Since the update, planets have changed a lot; places that were once deserts have become forests. I tried a few more habitats, still hoping to find the perfect place. One of the first planets I tried out after the update had lush green grass and deep forests, but it also had intense boiling monsoons every five to ten minutes. No thanks! Another was a frozen tundra, which looked pretty, but not for me. I just don’t like the cold. The next half a dozen planets were either deserts, irradiate or otherwise uninhabitable, or they had aggressive sentinels that would chase me off the planet. On Tuesday I was on the verge of giving up. Then, after landing on yet another desert, I decided on a whim to visit that planet’s moon. My moon orbits around a ringed planet, and sometimes when I look up into the sky, I can see those rings on the horizon. I found a nice hill overlooking a small grove of trees and decided to make my base there. Right now it’s just a little wooden hut, but soon I’ll build a network of rooms and farms and a portal so I can warp to and from my base at will. It felt like falling in love with someone brand new. It’s electric and exciting, but also it makes you feel at peace and at ease. This is where I’m meant to be. I haven’t found a lake, but hey, you can’t have everything.